…which, until recently, was reserved for the bigger players. 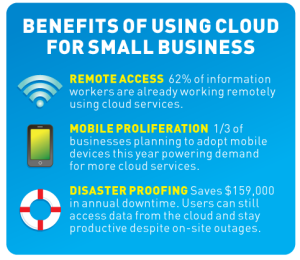 The cloud has changed the way individuals and organizations of all sizes leverage technology. Here Comes Cloud Summit 2014! The 5th Annual Summit is an exclusive cloud conference for service practices, business owners, entrepreneurs, accounting and legal pros, and existing cloud users, to learn of the latest in cloud business solutions. Cloud Summit 2014 is a value added event with measurable results – over 97% of the 2013 Attendees said they would recommend Cloud Summit to colleagues and other business owners. This year Cloud Summit will provide attendees with a truly unique conference experience featuring educational sessions, one on one user trainings, vendor solutions and business cloud migration evaluations. Cloud Summit 2014 will be held at The Westin Gaslamp in Downtown San Diego, to allow attendees to enjoy a Coastal retreat to relax, get educated and get up to speed fast on the impact that the Cloud can have to evolve and accelerate small and medium size businesses. This year Mr. Joe Woodard joins an already packed all-star lineup of keynote speakers including business and accounting technologist Greg LaFollette, Sr. Vice President of Inuit Jim McGinnis, Marketing Guerilla expert Orvel Ray Wilson, Jennifer Katrulya, Doug Sleeter and Robert J. Chandler – all are award winning and recognized visionaries in cloud technology and professional services for small business and entrepreneurs. Attendees will have the opportunity to tour a SOC2/SSAE16 certified Data Center with state of the art security systems, uninterrupted power supply, heating and cooling distribution as well as a 24x7x365 NOC, a truly unique experience for conference attendees. Cloud Summit also offers one on one user trainings for identified needs in the cutting edge training center linear to educational course offerings. Entrepreneurs and small business managers will be able to explore many of the industry’s best cloud-based solutions. Whether you’re just beginning to make the transition or you’re deeply entrenched in integrated virtual applications, you’ll come away with the same renewed excitement for today’s most effective approaches to financial management — as last year’s cloud computing event attendees did.